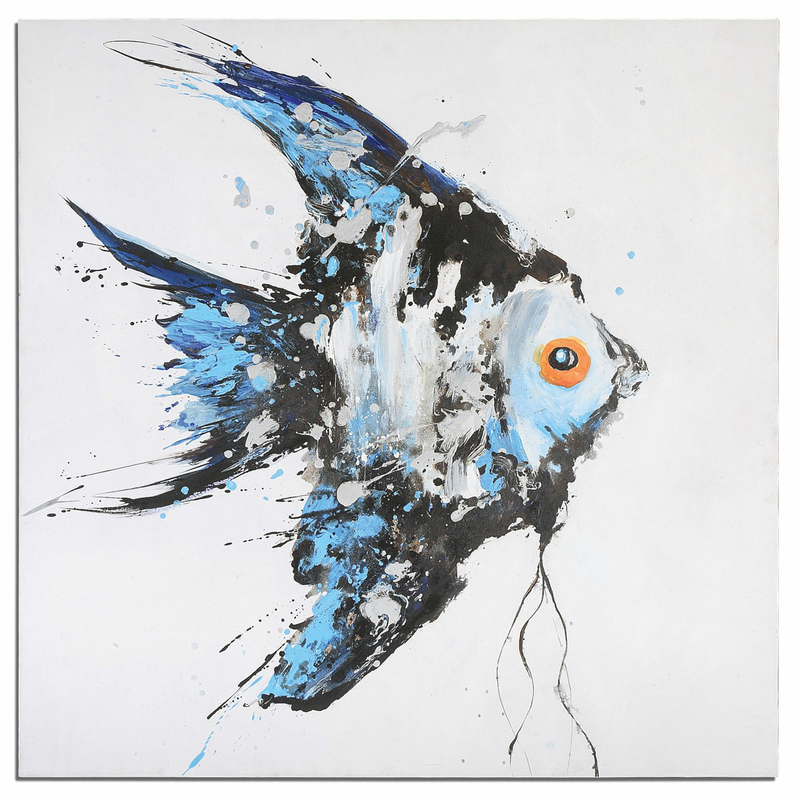 Give your decor contemporary flair with the Blue Angel Canvas Wall Art, showcasing an artful interpretation of a blue angelfish. Ships from the manufacturer. Allow 2 weeks for delivery of this coastal wall art. Cannot express ship. For further offerings, we invite you to take a moment to view our entire inventory of coastal wall art at Bella Coastal decor today.